Densus does not deliver the solutions of other forces; we design capabilities specifically for the end user. These capabilities are shaped by our depth of experience in developing and learning best practices worldwide, and applying them to the organizational culture, intended equipment utilization, political and legal context, and program and project management relationships. Every member of the Densus Leadership team has supported U.S. Government and international clients on previous tasks and has extensive international experience. The Densus Group is not a staffing or a product company; we design and deliver proven doctrine, quality personnel, and innovative solutions within a system using the company’s own Intellectual Property and staff that have worked with the company before or that the company’s management has personally worked with on previous successful operations. Our solutions emphasize the human factor, delivering knowledge, methodologies, skills and tactics that are integrated from the assessment phase and throughout every phase of execution. Therefore the client receives not only qualified, experienced personnel, but the ability for the deployed staff to reach back to the company’s wide range of subject matter experts and to leverage the company’s management experience and documented best practices in security, force protection and crowd management globally in all situations, in every environment, and for each type of client. 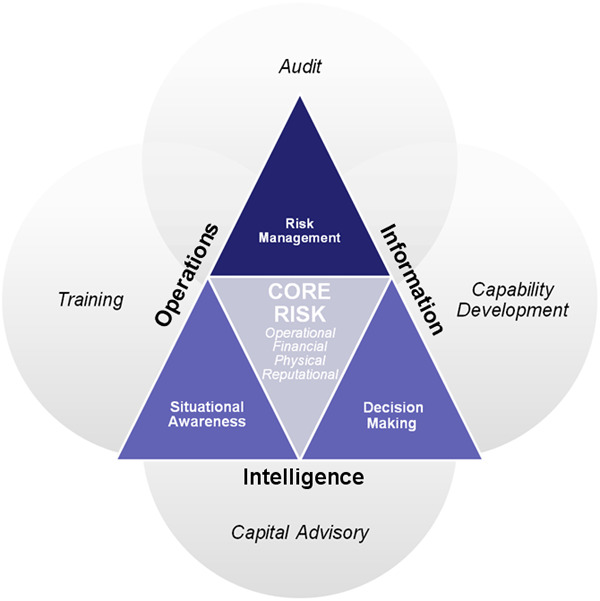 The broadest range of considerations are carefully taken into account during solution development; including, but not limited to, political and media concerns, equipment lifecycle management, real-time logistics, and critical financial metrics such as lifetime budget tracking and triggering and total costs of ownership. Densus does not provide support in capability areas that our management team is not comprehensively experienced and qualified as subject matter experts to effectively supervise and manage. The Densus Group combines diverse international experience with robust academic knowledge to provide industry-leading solutions. Engagements follow our overarching methodology; to fully understand both problem and context before designing and delivering sustainable solutions based on the organizational culture, skills, and available resources within dictated constraints. Ongoing support and outsourcing may be the solution that best fits the client requirement.